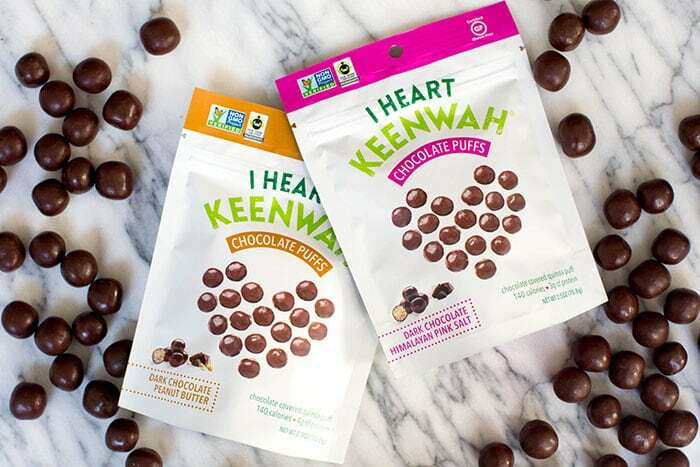 Home » Gluten-free » I Heart Keenwah’s Chocolate Puffs Vegan Valentine Giveaway! I haven’t done a giveaway in forever. 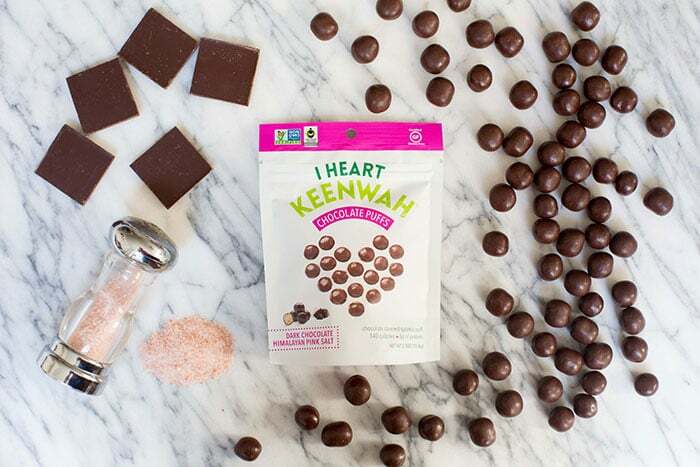 So, when my friend Natalie Slater, of Bake and Destroy fame, asked me if I wanted to give you all a chance to win some I Heart Keenwah chocolate puffs I jumped on the chance. If you aren’t already familiar with I Heart Keenwah, prepare to be delighted. 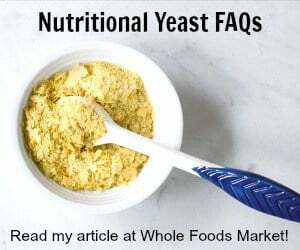 They have these chocolate puffs that are vegan and delicious, savory snack puffs, hot cereal, and my very favorite – toasted quinoa that has the best flavor. Please note that I was NOT compensated for this post. « 11 + Vegan Appetizers to Make Your Super Bowl Party The Best Ever! Lately my favorite has been chocolate chia seed pudding! Endangered Species Chocolate is my fav! Dark chocolate covered cashews! Omigoodness, they are so good! I would love to win/ try these! Thanks for the opportunity! If I can’t have a homemade treat, I’d have to go for a good quality dark chocolate bar to savor. Anything chocolate will do, but I love cocoa/avocado mousse! Dark chocolate of any kind, because it’s always vegan! And…helllllooooooo DARK FREAKIN CHOCOLATE! YUMMMMMM! 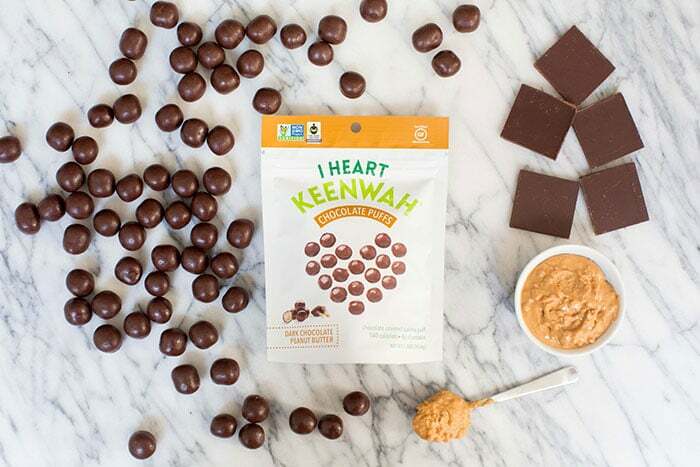 So far my favorite vegan chocolate treat is Justin’s dark chocolate peanut butter cups…but I would love to try these “I Heart Keenwah” treats because they sound amazing! Rice milk chocolate bar – blanking on the brand name. But it’s got little crisped rice in it and it’s fantastic! My favorite vegan chocolate treat is a locally made chocolate ginger bark! dark chocolate pretty much anything! I love to snack on vegan chocolate chips! Just one? Pretty much anything from Nibmor. I love vegan chocolate covered strawberries. I’m boring and bitter. I love a good 85% or 90% cacao chocolate bar! Dark chocolate with almonds or hazelnuts. I’m a sucker for a super dense fudge brownie. A vegan chocolate cake recipe I found online that always turns out as a fabulous cake! I also has chocolate chips in it! I like all kinds of chocolate covered fruits. I’m still dying to find those chocolate-covered quinoa puffs in stores… In the meantime, I can’t ever resist a good chocolate-covered espresso bean. Anything with good dark chocolate!???????????????? Sea Salt Truffle sounds rather yummy! I love vegan black bean brownies!!! I love making my own vegan hot cocoa, and NibMor dark chocolate bars! Anything gooey and chocolatey has my vote! Just any kind of chocolate! Yum I’d love to try these out. I normally stick with Justin’s PB cups. I prefer the savory of the PB mixed with the chocolate. Been wanting to try these! I’m vegan and gluten free so finding yummy snacks isn’t the eaisest and these look great! Homemade brownies! Thanks so much for the giveaway! I looooove the chocolate puffs!! I love salty/sweet things, so chocolate covered pretzels or potato chips are probably my favorite….yum! My favorite is just dark chocolate all by itself. The darker, the better! Brownies! With walnuts, it has to have walnuts. I love Pascha chocolates, I like that you can buy them in individually wrapped bite size bars. I love the Endangered Species Dark Chocolate Cacao Nib bar! I love a good vegan chocolate brownie! My current addiction is the Oregon Bark Tom Bumble chocolates. They’re all so good! I’m a huge fan of I Heart Keenwah, too, though. I saw these at VegFest, but I haven’t bought them yet in stores. They look so good!! I just love chocolate pudding! My favorite chocolate treat is White Chocolate Cleos! I love chocolate covered berries. My homemade treats with oats, peanut butter, coconut oil and honey, no bake! My favorite vegan chocolate treat are the vegan chocolate truffles. So so good!